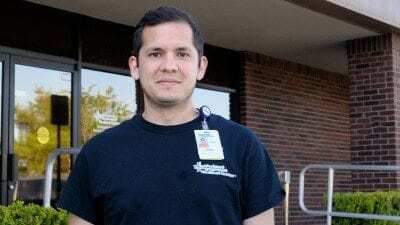 Greetings and welcome to Polk State College’s Physical Therapist Assistant program website! Our program was established in May of 1994, and our first class of students graduated in May 1996. Since then, we have graduated more than 150 students. In May of 2012, we received re-accreditation from the Commission on Accreditation of Physical Therapy Education (CAPTE) of the American Physical Therapy Association. Our program has consistently maintained above average state and national passing rates for licensure examinations, and our graduates are currently employed in the field, earning excellent wages. We are fortunate to have a very experienced faculty and a great variety of clinical sites in which to place our students for clinical education experiences. Is interested in attending a program with caring, dedicated, and knowledgeable teachers in a state-of-the-art building, with a laboratory that simulates a real PT clinic. If you are interested in pursuing a very rewarding and challenging career, consider joining us today! We also welcome your feedback. If you have any comments pertaining to the performance of our graduates or regarding our program, please email Program Director Dr. Anna Evans or call 863.669.2904. 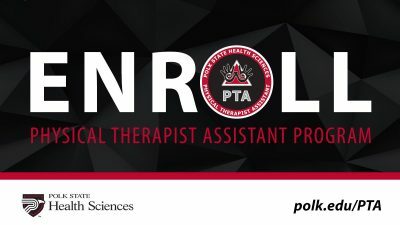 On behalf of the faculty, staff, and students of the PTA program, we welcome you to our program and look forward to your entry into the exciting and challenging career of physical therapy.